The "Hello I'm Dolly" Tour continued Friday to get good publicity, with wonderful reviews of Wednesday night's sold out show in Green Bay, Wis. The Green Bay News Chronicle praised the show here, saying: "From the moment that Dolly stepped on stage she grabbed the hearts of the audience and held it with her amazing voice and wise-cracking jokes." And the Green Bay Press Gazette also thought the show top-notch, saying here that "Not liking Dolly Parton is a little like having something against puppies and ice cream sundaes." The tour rolled in to St. Paul, Minn., Friday night, with the Minneapolis City Pages choosing the concert here as this week's best event. It appeared just before the show began that the upper two of the venue's three raised levels of seats were sold out and that the first raised level was more than half sold out, but the handful of floor seats that became available earlier in the week remained open. Ashtabula, Ohio's Star Beacon on Friday offered its review of last week's Cleveland concert here, saying that although attendance was light (only about 2,000 people out of the 4,000 or so seats available) Dolly was "at her traditional best." Speaking of her Ohio shows, readers sent in some more wonderful shots from both Columbus and Cleveland. View them in the "Hello I'm Dolly" photo galleries here. Thanks, Noelle and Rebekah! If you haven't gotten your seats via this week's fan pre-sale, tickets go on sale to the general public for Dolly's Dec. 2 Austin concert at the Frank Erwin Center (which replaces the earlier-planned San Antonio stop on the tour) at 10 a.m. Saturday via Texas Box Office. And, finally, the tickets to Dolly's Nov. 7 Winston-Salem show with admission to the very small meet-and-greet with her at the venue went for a whopping $2,555 on Friday at eBay. The charity auction benefits Sweet Relief Musicians Fund, which assists ill and elderly musicians with medical and living expenses. Look for future auctions for tickets and meet-and-greet admissions in Reading, Penn. ; Dallas, Texas; Las Vegas, Nev.; Anaheim, Calif.; and Seattle, Wash. The concert-related auctions aren't the only ones going on right now where Dolly is giving a worthy organization a helping hand. The auction on eBay for Celebrity Rags 4 Charity Riches to benefit the Kennedy Center for Research on Human Development at Vanderbilt University ends on Saturday. Included is an autographed dulcimer and photo of Dolly. As of Friday evening, bids on that item here had reached $355. The auction ends around 6 p.m. Eastern on Saturday. I'm told the great Monument-era compilation CD The Little Things has been re-issued in Europe under the title The Early Years. Thanks, Steve! David is using Dolly for his "Mystery Song" project on his Web site this month. Visit here and guess what song the lyric is from. Friday's tour stop in St. Paul, Minn., was getting a lot of press this weekend. I'm told a story on the concert got a full-page article and large photo in the "Weekend Life" section of the Twin Cities Pioneer Press (read the online version of that story, which singles out what the writer considers Dolly's five best songs and why, here). Thanks, Michael! The Minneapolis-St. Paul Star Tribune also put the show in its "Critic's Picks" for the week here. Tickets for the show remain available from Ticketmaster. My new pal Karen on Thursday sent in some more of her amazing shots from the Cleveland concert. Take a peak here! Thanks, Karen! I'm told that Dolly's Halloween show in St. Louis will reportedly allow fans to bring cameras, including allowing flash photography, but only still cameras, instamatics and small digital cameras will be allowed (no professional lenses or video, I'm told). Thanks, David! And the lip-synching controversy isn't completely gone yet. The reviewer for the Acron Beacon Journal, which referred to the discussions on this site in his review of her Cleveland show, once again brought it up in a column on Thursday criticizing Ashley Simpson's embarrassing foul up on Saturday Night Live last weekend. He did, however, note that no one at Dolly's show seemed to mind that parts were pre-recorded and that one fan even e-mailed him to say because concert tickets cost so much he prefers perfect pre-recorded vocals over live performances. Read the full column here. Dolly's concert CD Live And Well slides two notches to No. 50 on the country albums chart in its sixth chart week, according to the Nov. 6 Billboard charts released Thursday. The double-CD also falls six places to No. 39 on the independent labels albums chart. As was reported here earlier this week, Rod Stewart's Stardust: The Great American Songbook: Volume III, with Dolly on the awesome duet "Baby It's Cold Outside," debuts at No. 1 pop and comprehensive. The CD also debuts at No. 1 for Internet sales. Norah Jones' Feels Like Home, featuring Dolly on "Creepin' In," inches up one spot to No. 56 pop and comprehensive in its 37th chart week and falls four on the Internet sales chart to No. 21. Mindy Smith's One Moment More, featuring Dolly on her cover of "Jolene," falls two spots to No. 23 in its 39th week on the independent labels albums chart. Kenny Rogers' 42 Ultimate Hits, with Dolly on "Islands In The Stream," loses one place to No. 45 country in its 21st chart week. George Strait's 50 Number Ones, with 142,000 copies sold in its third week, moves down two spots to No. 3 pop but remains No. 1 country, while Brooks & Dunn's The Greatest Hits Collection, Vol. 2 debuts at No. 2 country, No. 7 pop, with 83,000 copies moved in its first week. Stewart's Stardust: The Great American Songbook: Volume III also debuts at No. 1 pop on this week's Canadian albums chart, while Jones' Feels Like Home falls six spots to No. 48 in its 38th week on the pop albums chart up north. Your chance to meet Dolly backstage in Winston-Salem at one of her very exclusive meet-and-greets on the "Hello I'm Dolly" Tour is fading fast. The charity auction on eBay to benefit Sweet Relief Musicians Fund will end at around 3:30 p.m. Eastern on Friday. As of Thursday night, the bidding had passed $1,000. As was previously reported here, the first auction in this series, which was for this weekend's St. Louis show, reached a final winning bid of about $1,700. Put it your bid for the Winston-Salem show here! Music Web site NME on Thursday offered the exclusive world premiere of The White Stripes' new video for their cover of Dolly's "Jolene." The song and video come from their soon-to-be-released live DVD Under Blackpool Lights, and their male-lead vocal version of the song -- long considered by critics to be the highlight of their concerts -- is set to be released next month as a single in Europe. Watch the video here. Dolly's Dixie Stampede issued a press release on Thursday noting that its annual holiday shows start Nov. 3. In the release, Dolly said: "As a child, Christmas always meant gathering around as Mama read the Christmas story from the Bible to us kids," Dolly Parton said. "My wish is that Christmas at Dixie sparks that same kind of memory for our guests or creates a family tradition that can be shared for years to come." Read the full release here. Alternative weekly paper The Cleveland Free Times this week lauds her stop in their city, with a review touting: "She's still got skills. Mad, mad skills," and calling her "warm and witty and wonderful." Read the full review here. And speaking of Cleveland, reader Karen sent in some more awesome shots from that show which have been added to the concert galleries here. Thanks, again, Karen! The River Front Times, an alternative weekly paper in St. Louis, chose her Halloween concert there as this week's "Critic's Pick," telling readers to go to the show and "Enjoy the caricature, but revel in the fully nuanced artist." Read it here. Meanwhile, the city's daily newspaper, The St. Louis Post-Dispatch, on Wednesday night posted a profile on Dolly and her concert there which will appear in Thursday's issue of the paper. Read it here. The Associated Press this week put out a video story on the tour, including an interview segment with Dolly. See it courtesy cable and Internet provider Cox Communications here. Pre-sale tickets went on sale Wednesday morning (and are still available here) in the Dolly fan pre-sales for her Dec. 2 stop in Austin, Texas. They go on sale to the general public on Saturday via Ticketmaster. The tour played to a sold-out crowd in Green Bay, Wis., Wednesday night and next moves to St. Paul, Minn., on Friday night, for which tickets are still available at Ticketmaster. Rod Stewart's Stardust: The Great American Songbook: Volume III, featuring Dolly on the awesome duet "Baby It's Cold Outside," will debut at No. 1 on the Nov. 6 Billboard pop albums chart, Reuters reported Tuesday night. The album moved nearly a quarter-million copies in its first week, according to SoundScan figures, and marks Stewart's first time atop the albums chart in 25 years. The CD debuted at No. 3 in Monday's U.K. pop albums chart. The first two installments in Stewart's trio of standards debuted at No. 4 and No. 2, respectively, and have sold more than 4.7 million copies in the U.S. This marks Dolly's second time at No. 1 this year, as Norah Jones' Feels Like Home, featuring her duet on "Creepin' In," sat at the pole position for six weeks after its February release. Read more here. In other chart news, the Nov. 6 pop singles chart will see Nelly and Tim McGraw advance seven positions to No. 1 in just the fourth chart week of their song "Over And Over." The four-week climb to the top ties the record set by Whitney Houston in 1992 for her cover of Dolly's "I Will Always Love You" and Mariah Carey with "Dream Lover" in 1993. Dolly is the only country performer up for a People's Choice Award in the first half of nominees announced on Tuesday. She and Norah Jones are nominated for Favorite Combined Forces for their duet of Dolly's "The Grass Is Blue" on last year's CMA Awards. They face competition from Christina Aguilera, Missy Elliot and Lil' Kim for "Carwash;" the Black Eyed Peas and Justin Timberlake for "Where is the Love;" Lil' John and Usher for "Yeah!" and Britney Spears and Madonna with "Me Against the Music." For the first time, all winners will be chosen by Internet voters, so you may cast your ballots here! Nominees in additional categories will be announced in December. Jones is also nominated for Favorite Female Singer. The only other artist with country ties up for any awards is sometimes-country-performer Sheryl Crow, up for Favorite Female Singer and Favorite Remake for her cover of Cat Stevens' "The First Cut Is The Deepest." Winners will be announced on CBS on Jan. 9. No reports or photos yet from Dolly's Tuesday night show in Detroit, but this update was being posted at about the time the concert should have been letting out. The tour hits a sold-out crowd in Green Bay, Wis., on Wednesday night, with tickets still available at Ticketmaster for the remaining concerts this week. Tickets for her Dec. 2 stop in Austin will go on Dolly fan pre-sales here at 10 a.m. Eastern on Wednesday, it was announced Tuesday evening. They will go on sale to the general public on Saturday. A few floor seats became available on Ticketmaster Tuesday for Friday's St. Paul concert and Saturday's Omaha performance. Some great photos from last week's Cleveland concert have been added to the concert galleries here. Thanks, Karen! Dolly's Imagination Library will kick-off its Dyer County start on Sunday with a Trick-Or-Treat event at the Dyersburg Mall, the Dyersburg Star Gazette reported Tuesday. The celebration will include volunteers from local sponsor the Kiwanis Club signing up children to participate in the literacy program and a video message from Dolly herself. Read more here. Tickets for the Green Bay, Wis., stop on the "Hello I'm Dolly" Tour on Wednesday night once again sold out on Monday. However, seats remained plentiful (albeit toward the back of each venue) as of Monday evening for Tuesday's concert in Detroit, Friday's in St. Paul, Saturday's in Omaha and Sunday's in St. Louis. It also looks like her Nov. 4 performance in Raleigh is close to selling out. Universal International earlier this month issued a new compilation CD in Europe titled The Collection, which features almost all of the tracks Dolly recorded for two of the corporation's labels in the '90s. The 21-track disc contains all of the songs from Dolly's 1996 Rising Tide label issue Treasures except for "Something's Burning" (personally, my favorite from the disc) and "Walking On Sunshine" as well as all 12 cuts from her critically-acclaimed 1998 Decca release Hungry Again. So the CD includes all of her solo Universal recordings except for four songs (the above-mentioned two and the two tracks on the 1997 Anabelle's Wish soundtrack). Amazon.com shows it being available Nov. 23 as an import into the U.S. Reserve your copy here! Thanks, Sean! Dolly's denial that she plans to have her breasts reduced made its way onto the newswires Monday, earning some ink in Britain's The Daily Record here and the online music news site Contact Music here. She made the comments from the stage at one of her Canadian concerts over the weekend, which the Canadian Press quoted in a wire story as her saying, "I guess you can tell that's not true. I can't let that happen," referring to recent stories that she had decided to have breast reduction surgery to combat excruciating back pain due to breast implants. Although such rumors have cropped up in the supermarket gossip tabloids every five or six years for decades now, this was the first time they got picked up by the mainstream press. A tabloid reported the unsubstantiated story a few months ago, including second-hand quotes it claimed came from Dolly. A British newspaper later picked up the tabloid's story and ran it as true, leading a handful of other news outlets to print it as well. Then last month, the story was posted onto a mainstream newswire, which resulted in it not only appearing in several newspapers worldwide, but also being noted on several radio stations' morning music news programs, earning a quote in the current issue of Rolling Stone and finding a quarter-page re-printing of the tabloid story in the current issue of Country Weekly (Nov. 9, which also includes Dolly in its "Tour Spotlight"). Dolly says the story is false. Fans who were among the first 130 or so to request Just Because I'm A Woman: Songs Of Dolly Parton t-shirts from Sugar Hill Records and Dollymania a couple of weeks back started getting them in the mail on Monday. The "Hello I'm Dolly" Tour hit Canada over the weekend with three sold-out shows at Casino Rama near Toronto. Press reports were that the shows went very well, even though the video portion of the concert was not working. A Canadian Press story syndicated worldwide on Saturday may have gotten some inspiration from this site, claiming "Dollymania large as ever in Canada," calling the "mesmerized" concert-goers "Dollymaniacs," saying "For an hour-and-a-half she sashayed across the stage with poise and elegance," and citing Dolly's jokes told from the stage about untrue tabloid rumors of her having breast reduction surgery and her husband divorcing her. The story also quoted casino officials saying the 16,000 seats sold for her trio of shows there constituted the largest crowd in the history of the venue. Read it here. Thanks, Mark! And The Toronto Sun on Saturday also lauded the show, giving it four out of five stars. Its reviewer pointed to her "powerful" a capella rendering of "Little Sparrow" and "many poignant" moments. Read that review here. The tour next heads to Detroit for Tuesday night's concert. Tickets for that show still remained available Sunday night via Ticketmaster with a few seats still for sale toward the back sides of the large floor area and about mid-way back in the balcony. Probably about 1,000 tickets remain for sale in the 5,000-seat venue. Tickets went on sale to the public Saturday for the tour's performances in Sacramento and Anaheim, Calif., and they were going fast. In Sacramento, the floor quickly sold out, and nearly half of seats on the first tier sold over the weekend. In Anaheim, they went even quicker, nearly selling out in just a few hours. The floor completely sold out almost immediately and by afternoon the first two tiers of raised seats were all gone except for a few single-seat tickets, leaving only a small portion of the back tier of raised seats remaining. The tour's Nov. 13 show at Connecticut's Mohegan Sun is nearly back to being sold out again. The arena's multiple-seat tickets from the group that became available a few days ago are again sold out, leaving only a couple of single-seat tickets remaining. The show's Austin stop got a plug in The Austin Statesman's "Austin 360" over the weekend here. The Pittsburg Post-Gazette on Sunday gave Dolly's concert CD, Live And Well, its highest rating, four out of four stars, lauding her cover of "Stairway To Heaven" as the one even those tired of the song should hear and the rest of the set as inspired as that tune's rebirth. The reviewer concludes: "Parton, simply put, is a monumental interpreter of musical Americana." Read the full review here. Norah Jones' Feels Like Home, with Dolly on the track "Creepin' In," may be nearing the end of its run on the British pop albums chart. The CD falls 10 places to No. 74 on the 75-position U.K. chart in its 35th chart week, it was announced Sunday. Dolly's previously-delayed segment on CMT Insider aired Saturday. In the brief interview, taped as part of the one aired a couple of weeks back about her tour, she discussed recording "Baby It's Cold Outside" with Rod Stewart for his Stardust: The Great American Songbook: Volume III. "I've always been a freak over Rod Stewart ever since 'Maggie May,'" she said. The episode repeats throughout the week (see TV listings in left-hand column). Hello, Canada! The "Hello I'm Dolly" Tour rolled into Canada Friday night for the first of three sold-out shows at Casino Rama near Toronto. Fans who attended are encouraged to send their notes from the show (and photos if they snuck in a camera) here. Thanks! A handful of tickets for Dolly's Wednesday night stop in Green Bay, Wis., (although they are near the back of the venue) became available on Friday through Tickets.com. Tickets for Dolly's Dec. 8 concert in Phoenix went on sale to the public Friday morning via Ticketmaster, and as of Friday evening the small pit area had completely sold out and about two-thirds of the main floor area (concourse) had sold out. The club level on the back of the floor appears to have only about a third of tickets sold, while only a few seats were gone in the balcony. Don't forget that tickets go on sale via Ticketmaster at 10 a.m. Saturday for the tour's stops in Anaheim and Sacramento, Calif. In advance of next Friday's concert there, the Minneapolis-St. Paul Star-Tribune on Friday ran the earlier tour preview article from the Knoxville News-Sentinel here and a "Parton Primer" on her best albums here. The Columbus Dispatch on Friday ran a positive review of Wednesday's concert there in Friday's paper. It begins: "Dolly Parton's best-known assets aren't the only traits that make her a rare and wonderful creature. There simply aren't many total entertainers left in the world -- those who can sing, write, vamp and remain extraordinarily likable, largely because of an ability to keep from taking all of that talent too seriously." You have to subscribe to the paper or purchase the article here to read the rest. Two additional rave reviews of Dolly's Live And Well concert CD hit readers on Friday. Gay paper The Washington Blade here said the CD "doesn't disappoint" and that "is a must have" for Dolly fans. And The Smoky Mountain News said here that the collection "catches her in full cackling delight" and that those who check out the disc will see that Dolly "is live and well indeed." Don't forget CMT is scheduled to air its segment on Dolly's duet with Rod Stewart from his Stardust: The Great American Songbook: Volume III CD on this weekend's episode of CMT Insider premiering at 1 p.m. Eastern Saturday and repeating throughout the week (see listings in left-hand column of this page). The story was postponed from last week's edition. Tennessee's 19th county has kicked off Dolly's Imagination Library literacy project, The Daily Post-Athenian reported Friday on McMinn County's celebration starting the program there. Read their coverage here. The Cleveland Plain Dealer on Thursday gave the "Hello I'm Dolly" Tour stop in that city a rave review, offering that although the audience was small (officially 3,800), Dolly offered a real "90-minute gig to remember." Read the review here. New pics have been added to the Biloxi galleries here, and the first shots have come in from Wednesday night's Columbus concert here. Thanks, Shannon, Dawn and Erica! Dolly's previously "sold-out" Atlantic City and Mohegan Sun shows had a few seats become available this week on Ticketmaster. The other sold-out dates left on the tour (Friday through Sunday's shows in Canada and next Wednesday's stop in Green Bay) remained sold out as of Thursday night. Dolly's Dec. 11 performance in Reno is nearly sold out. A few single-seat tickets remain about four or five rows from the back, but the only multiple-seat tickets are on the back row. The tour's Detroit stop got a plug in Michigan's gay and lesbian news site Pride Source Thursday. Read it here. Dolly's concert CD Live And Well slides two places to No. 48 on the country albums chart in its fifth chart week, according to the Oct. 30 Billboard charts released Thursday. The double-CD also falls two notches to No. 33 on the independent labels albums chart. Norah Jones' Feels Like Home, with the Dolly duet "Creepin' In," climbs up two spots to No. 57 pop and comprehensive in its 36th chart week and re-enters the 25-position Internet sales chart at No. 17 after one week away from that tally. Mindy Smith's One Moment More, with Dolly harmony on "Jolene," inches down one place to No. 21 in its 38th week on the independent labels albums chart. Kenny Rogers' 42 Ultimate Hits, featuring "Islands In The Stream" drops six spaces to No. 44 country in its 20th chart week. George Strait's 50 Number Ones, with 190,000 copies sold in its second week, remains steady at No. 1 country and pop, while Tim McGraw's Live Like You Were Dying inches up one spot to No. 2 country on sales of 67,000 in its ninth week and remains steady at No. 9 pop. Jones' Feels Like Home falls three spaces to No. 42 in its 37th week on the pop albums chart up north. The autographed, limited edition Dolly dulcimer and photo originally announced here to be auctioned for charity last week will now be auctioned off starting this weekend, organizers confirm. Sale of the instruement through the Celebrity Rags 4 Charity Riches service will benefit the Kennedy Center for Research on Human Development at Vanderbilt University. The auction will now run Oct. 23-30 and will also include jeans from Joe Nichols, a top from Lee Ann Womack, a dress from Reba and more. To see the items up for bids, visit the Web site here and click on "Special Auction." Thanks, Cynda! The Knoxville News-Sentinel on Thursday presented a great profile of a local theater's costume designer, whose most recent job was designing clothes for Dollywood festivals (including some for Dolly herself, such as her lumberjack outfit from opening weekend). Read what he had to say about working for Dolly here. Singing News gives some recognition to Dollywood. Its current online news page singles out park employees Ken Bell and Judy Ward for their work with the National Quartet Convention, and the recent Southern Gospel Music Association Hall of Fame induction ceremony held at the park is also highlighted. Read these items here. Although I haven't seen it officially announced anywhere, one paper claims that Dolly and Norah Jones will perform their CMA-nominated duet "Creepin' In" at this year's CMA Awards show on Nov. 9, broadcast live from Nashville. The Kansas City Star reported the news Wednesday in a profile on Jones in advance of her concert there this weekend. (It's certainly possible -- Dolly scheduled a four-day break in her tour for that time between concerts in North Carolina and New Jersey.) The song was included in Jones' CD Feels Like Home, which has sold about 4 million copies in the U.S. since its release in February. The pair also performed on last year's program, doing a duet on Dolly's "The Grass Is Blue," a song which Jones had recorded for the tribute album Just Because I'm A Woman: Songs Of Dolly Parton. Read the paper's profile on Jones with the performance news here. I'm told that the "Hello I'm Dolly" Tour shows in Cleveland and Columbus, Ohio, this week stopped the crowds in their tracks. A few fans who wrote in say they could not tell that any numbers were lip-synched to pre-recorded tracks (but even the glowing review of Tuesday's Cleveland show in Wednesday's Akron Daily Journal here mentioned the fan debates over lip-synching, saying most fans at that show didn't seem to care whether she was or not). In both shows, I'm told, "Go To Hell" and the Kenny skit with "Islands In The Stream" were dropped and her crowd favorite "Rocky Top" was added in. However, I'm told that attendance was low in Cleveland, with only about half of the seats sold -- which one reader blamed on local country radio completely ignoring the concert, so many fans in town didn't know it was happening. The tour next heads to her trio of sold-out dates at Toronto's Casino Rama Friday through Sunday before crossing the border again for next Tuesday's Detroit show (tickets for which are still available). Thanks to everyone who wrote in about the Ohio shows! As was predicted here, the Dolly fan pre-sales added her Dec. 9 concert in Anaheim and her Dec. 12 performance in Sacramento on Wednesday. Get tickets here before they go on sale to the general public via Ticketmaster on Saturday! The Frank Erwin Center in Austin announced Wednesday that tickets for Dolly's Dec. 2 show there (moved from San Antonio) will go on sale via Texas Box Office Oct. 30. Additional photos from Dolly's concerts in Atlanta and Biloxi have been added to the respective galleries for those shows. Thanks, Steve and Betti! The Richmond Times Dispatch gave Dolly's concert collection Live And Well a strong "A-" in a review published Wednesday, saying she "flexes a voice as familiar as the color red on a Coke can." Read the full review here. I'm told Dolly made a taped interview appearance on Country Request Live on the cable network Great American Country (GAC) Wednesday, talking about her tour (it was apparently recorded a few days before she started the tour) and will appear on the program again Thursday to discuss her upcoming CD, Blue Smoke. The show airs at 5 p.m. Eastern, with a repeat at 9 p.m. Thanks, Jonathan! Although Amazon.com is still showing a Nov. 23 release, Billboard reported Wednesday that The White Stripes' new DVD, Under Blackpool Lights, which features their live cover of Dolly's "Jolene," won't hit stores until Dec. 7. The magazine adds that the Nov. 15 single release of "Jolene" from the recording, reported here a few weeks back, is for the U.K. only. Read the story here. It was brought to my attention on Wednesday that the width of the new layout prevents most Web browsers from properly printing its pages without cutting off the right edge of the page. Therefore, "printer-friendly" versions of two pages have been added for those who wish to print things out to keep. They are for the Letters To The Webmaster page (printable version here) and this News page (printable version here). The printable pages are also linked from the top of each of those pages as well. The site's standard formatting (including the navigation menu and other items on the left-hand side of the pages) has been removed, allowing for it to print on a standard sized page, and graphics appearing on the news page have also been removed for easier printing. Thanks for pointing that out! Several new galleries have been added from the shows so far on the tour, including more from Biloxi here, Greenville here and Atlanta here. Anyone else who wishes to send in pics is welcome to e-mail them here. Thanks! The tour headed into Cleveland Tuesday night (an early report from a fan says it was "wonderful"), and it heads to Columbus on Wednesday night. Dolly's comments published here about the tour on Monday night brought dozens and dozens of fan replies to the site on Tuesday, almost every single one in her defense and praising her tour. Those who consented for their comments to be made public have them posted on the Letters To The Webmaster page here, which also contains an editorial commentary on the subject from your webmaster. Be sure to check the Dolly fan pre-sale page here around 1 p.m. Eastern on Wednesday to see if any upcoming shows are added. While none has been announced, I would expect the Dec. 9 show in Anaheim and her Dec. 12 show in Sacramento to likely be added on the page for fan pre-sales on Wednesday. Tickets for both shows go on sale to the general public on Saturday. Ticketmaster on Tuesday added the Sacramento show to its site, noting a KNCI pre-sale will begin there at 10 a.m. Wednesday and end on Friday. Dolly plans to do a guest appearance on the WB sitcom Reba, she told Terry Morrow of the Knoxville News-Sentinel, but she has yet to work out the scheduling. Morrow quoted Dolly in Tuesday's edition saying: "We're going to do it. I just don't know when." As you may recall, Reba has been very public about her desire to have Dolly guest star on the hit series this season. Dolly also told the newspaper that she would also consider Steel Magnolias co-star Olympia Dukakis' request that she appear as well on her new CBS sitcom, Center Of The Universe. Read the full story here. British fans please remember that Dolly is scheduled for a live via-satellite interview on ITV's The Paul O'Grady Show, airing at 5 p.m. U.K. time on Wednesday. Hopefully, some of the site's overseas readers saw the note here last week from the show's producers seeking fans to be part of the studio audience to ask Dolly their questions. Joe Skelly and Mike Creed, who publish the quarterly Dolly Part'ners UK fan newsletter, tell me they're slated to be on the fan panel to quiz Dolly, so there'll certainly be lots of interesting conversation to be had! Thanks, guys! For those who watched CMT Insider on Saturday, I'm sure you realized that Dolly was absent from the program. The network announced this week that her interview discussing her (awesome!) new duet on "Baby It's Cold Outside" with Rod Stewart from his CD, Stardust: The Great American Songbook: Volume III, which hit shelves on Tuesday, is scheduled to air on this weekend's episode instead. The segment had originally been scheduled for last weekend's program. The new episode premieres at 1 p.m. Eastern Saturday with repeats Sunday and Monday (see TV listings on the left-hand column of this page for exact times). Those who read the site regularly know that there have been a slew of conflicting fan reports and (somewhat hostile) Letters To The Webmaster over apparent lip-synching at the "Hello I'm Dolly" Tour concerts. Dolly confirmed on Monday that some of the songs are pre-recorded but, contrary to some fan assertions, some of the show is performed live. "Yes, there are portions of the songs in the show that are pre-recorded," she told Dollymania. "I tell you that at the beginning of the show when I say, 'If you notice some enhancement or doctoring in the show, it's not to fool or trick anyone. It's an effort to entertain by being able to have a bigger production and, hopefully, a better sound.'" Dolly declined to specify which numbers are live and which ones lip-synched, but she added: "Just know that it's all Dolly, by golly," and asked fans to enjoy the show, as they are the reason she is back on the road. "I'm doing it for you," she said. Thanks, Dolly! Tour promoters confirmed to Dollymania on Monday that the previously-scheduled Dec. 2 concert in San Antonio is moving to the Frank Erwin Center at the University of Texas at Austin. Also, there are no plans to return Baltimore back on the tour schedule at this time. A concert in the Maryland city had originally been planned for Nov. 15 and remains listed on The Grascals' Web site and is included in the itinerary on the reverse of the official tour t-shirts. However, it was absent from the official tour announcement, and promoters confirm that there are no plans to add it back in at this time. Thanks, Beth! Catch some more shots of Dolly on stage in Biloxi in two new galleries here! Additional photos will be added in coming days. Country music maven Hazel Smith praised the tour in her weekly CMT.com column "Hot Dish" on Monday, recommending: "There's nobody more entertaining than Dolly Parton. If you get a chance, see Hello, I'm Dolly." Miss Hazel had attended Dolly's invitation-only friends-and-family preview in Nashville earlier this month before the tour officially kicked off. Read her review here. Two lucky fans are spending a pretty penny to meet Dolly. The charity auction on eBay to benefit the Sweet Relief Musicians Fund, a charity which assists ill and elderly musicians with medical and living expenses, ended Monday with a winning bid of $1,681 for a pair of tickets to Dolly's Oct. 31 show in St. Louis including admission to a meet-and-greet with Dolly herself. The charity will soon be auctioning off additional ticket/backstage pass packages in coming weeks for the tour's stops in Winston-Salem, Reading, Dallas, Las Vegas, Anaheim and Seattle. Fans in Cleveland are getting ready for the next stop on the tour, when it hits their city Tuesday night. As of Monday evening, a few of the recently-released floor seats remained available on Ticketmaster, as did a handful of tickets in the middle raised seating areas. There won't be any Dolly in the upcoming big screen version of The Dukes Of Hazzard, according to country news reporter Nashville Kat. Kat said in her nationally-syndicated radio reports on Monday that the part of the mother to Jessica Simpson's Daisy Duke was offered to Dolly, who turned down the role. As was first reported on Dollymania, Simpson told fans at a television taping that Dolly was expected to play her mother in the film, which also stars Johnny Knoxville and Seann William Scott as Luke and Bo Duke. Kat revealed on Monday that Dolly's Best Little Whorehouse In Texas co-star Burt Reynolds will put on the big white suit for Boss Hogg, and her Wild Texas Wind buddy Willie Nelson will portray Uncle Jesse in the film. Gov. Phil Bredesen (D-Tenn.) will make an appearance this week in Roane County, Tenn., to celebrate its adoption of Dolly's Imagination Library literacy program, the Roane County News reported Monday. The event will take place at the Mid-East Community Action Agency's Fairmont Head Start Center at 3:30 p.m. on Thursday. Bredesen fulfilled his campaign promise to work toward taking the program statewide this year when he set aside $2 million in state monies as a match for local communities across the state which raised funds to implement the library there. Read the newspaper's story here. The long-awaited "Hello I'm Dolly" Tour made its way down to the Gulf Coast this weekend, playing to two sold out crowds at The Grand Casino on the beach in Biloxi, Miss., Saturday and Sunday. Unfortunately, the casino required the normally two-and-a-half-hour concert to be stripped down to no more than 90 minutes, causing the opening set by The Grascals to be scrapped as well as two of Dolly's songs. Word has it that her other casino stops on the tour may meet the same fate. Visit the new section of the site dedicated to the concerts here for your Dollymania review and exclusive photos. The "Hello I'm Dolly" Tour moves on to its next date, Cleveland, Ohio's Gund Arena Theater, on Tuesday night. Although the floor had been sold out about a week ago, a handful of seats about seven and eight rows back on the floor became available over the weekend on Ticketmaster. Dolly's Nov. 13 date at the Mohegan Sun Casino in Uncasville, Conn., sold out over the weekend, becoming the ninth date on the 39-performance tour to fill capacity. Fans continued to write in over the weekend with their opinions over whether or not Dolly lip-synched on the tour's first two dates, Greenville, S.C., and Atlanta. About half of those writing in so far have said they thought she lip-synched the entire show, about a quarter thought she only did so on two or three numbers, and about a quarter said they didn't think she lip-synched a single note. The consensus was also that she did not lip-synch her between-song banter with the audience, which one reader had previously suggested. Tickets went on sale Saturday for her Nov. 21 show at Penn State and the Dec. 10 San Jose concert. As of Sunday evening, the floor and first two raised levels at State College, Penn., had sold out except for a handful of single-ticket seats on the raised levels, but plenty of seats remained on the third (and final) raised level. In San Jose, however, floor tickets remained available. My friend DJ Wes has announced that he and LA-area gay club Oasis will host a Dolly party Saturday, Dec. 4. In addition to free CDs, DVDs and posters for Live And Well, the party's big attraction will be a free ticket give-away for her Dec. 9 concert in Anaheim. Thanks, Wes! For the charity-minded, the eBay auction to benefit the Sweet Relief Musicians Fund and give the winner two tickets to Dolly's Halloween concert in St. Louis plus admission to the exclusive meet-and-greet with her that night ends Monday afternoon. As of Sunday night, the highest bid amount was $830. Look for additional ticket/backstage pass packages in coming weeks for Dolly's concerts in Winston-Salem, Reading, Dallas, Las Vegas, Anaheim and Seattle. Bid on the St. Louis prize here. Your webmaster had the privilege after the concert on Saturday to meet Grascals member Jamie Johnson, who says that the group will have a video out in December for their debut single, "Viva Las Vegas," which features Dolly on the Elvis cover. As was reported previously, the tune will be out on a three-song CD single Nov. 9 (reserve yours here!) and will be included on their first album, coming out in February on Rounder Records. Norah Jones' Feels Like Home, featuring Dolly on the duet "Creepin' In," moves up seven spots on the U.K. pop charts in its 34th chart week, coming in at No. 64, it was announced Sunday. Dolly's Imagination Library literacy program got a plug in Sunday's The Sun News in Myrtle Beach, S.C., where her Dixie Stampede dinner theater sponsors the local chapter there. Read the story here. More fans wrote in on Friday morning with their notes from the opening night show on the "Hello I'm Dolly" Tour from Greenville, S.C., with most saying they were disappointed that it appeared Dolly lip-synched almost all of the songs in the concert. One even went so far as to say he believed she lip-synched even her between-song banter with the audience (now, I've never seen any performer do that, so it is possible if it appeared she was out-of-synch with the speaking parts that it might have been a delay from the stage to the speakers and that she wasn't lip-synching, but I'll get to see for myself on Saturday night). Even so, most (but not all) agreed that they still enjoyed the show and that it was worth the money they paid. Thanks to all who wrote in with their thoughts! See some great pics from the show here. Thanks, Jimmy! The second night of the show, Atlanta on Friday, sold out around lunchtime on Friday. Ticketmaster on Friday also added her Dec. 9 concert in Anaheim, Calif., announcing that a pre-sale (without identifying who is running it or how to get tickets) will run from 5 p.m. Friday through 10 a.m. Oct. 23 and an additional pre-sale through radio station KZLA from 10 a.m. Oct. 20 through 10 a.m. Oct. 23 (no word yet on whether the show will show up in the Dolly fan pre-sales next Wednesday, but I would expect it to). Tickets will go on sale to the general public at 10 a.m. Oct. 23. Remember that if you haven't gotten your tickets for San Jose and State College, Penn., through the fan pre-sale here, they're still available on Friday and go on sale to the general public via Ticketmaster at 10 a.m. Saturday for San Jose and 9 a.m. Saturday for the Penn. State show. Tickets also remain on the fan pre-sale for her Phoenix stop, which don't go on sale to the public until 11 a.m. Oct. 22. British television network ITV announced on Friday that Dolly will appear via satellite from the U.S. for a live on-air interview next Wednesday, Oct. 20, on The Paul O'Grady Show and asked Dollymania to help find fans from the U.K. who want to ask her a question on the program from their studios. E-mail David Allberry here or call him at 0207 737 8984 for more details. Thanks, David! The New York Blade on Friday gave a great review of Live And Well, saying: "The voluptuous blonde is right at home at Dollywood's Celebrity Theater, and her performance doesn't disappoint." Read it here. Don't forget Dolly is again on CMT Insider this weekend, premiering at 1 p.m. Eastern Saturday and repeating throughout the week. She is expected to talk about her duet on "Baby It's Cold Outside" with Rod Stewart from his new CD to be released on Tuesday, Stardust: The Great American Songbook: Volume III. The tour got a lot of press Thursday, including an Associated Press story that made the rounds in several papers (read it from Launch here), a story in my hometown paper, The Clarion-Ledger in Jackson, Miss., here (although based entirely on her most recent CBS interview) and a story in the Georgia State University paper, The Signal here. A day after a row of seats on the floor at the Resch Center became available to the public, Dolly's Oct. 27 concert in Green Bay, Wisc., once again sold out on Thursday. Dolly's concert CD Live And Well remains steady in its fourth chart week to come in at No. 46 country in the Oct. 23 Billboard charts released Thursday. The two-CD set dips one spot to No. 31 on the independent labels albums chart. Norah Jones' Feels Like Home, featuring Dolly on "Creepin' In," falls three points to No. 59 pop and comprehensive in its 35th chart week, also falling off of the 25-position Internet sales chart, down from No. 22. The CD has moved 3.47 million copies in the U.S. Mindy Smith's One Moment More, featuring Dolly on "Jolene," moves up four notches to No. 20 in its 37th week on the independent labels albums chart. Kenny Rogers' 42 Ultimate Hits, including "Islands In The Stream," rushes up 18 points to No. 38 country in its 19th chart week. George Strait's 50 Number Ones, with 343,000 copies moved in its first week, debuts at No. 1 country and pop, while last week's No. 1 on both charts, Rascall Flatts' Feels Like Today, drops one to No. 2 country and seven to No. 8 pop in its second week. Live And Well falls out of the top 50 country albums chart in Canada, down from No. 29 in its third chart week, it was announced Thursday, and Jones' Feels Like Home drops nine spots to No. 39 in its 36th week on the pop albums chart up north. The CD/DVD gets a great review in this week's New Times Broward-Palm Beach down in Florida, with the reviewer noting that throughout the performance, Dolly "is as impish and energized as a triple espresso, but when she gets down, that distinctive vibrato can inspire chills." Read the full review here. Rhino Records next month is slated to release a newly digitally re-mastered version of Emmylou Harris' 1980 Warner Brothers Christmas album Light Of The Stable. Of course, the disc contains the title track, recorded and released in 1975 as the first of the Trio recordings of Dolly, Emmylou and Linda Ronstadt (although it's actually a quartet, with the inclusion of Neil Young on the holiday song). New to this release are three bonus cuts: "There Is A Light," "Man Is An Island" and "Cherry Tree Carol." The cover art has changed to the drawing used on the original 1975 picture sleeve single. Reserve your copy, for release Nov. 9, here! Congratulations to everyone who got e-mails to the site in time to receive a free Just Because I'm A Woman: Songs Of Dolly Parton t-shirt from Sugar Hill Records. The label had about 130 shirts left over to distribute through Dollymania, and they were all spoken for before lunchtime on Thursday morning. Before day's end, more than 250 people had sent in requests for the shirts. Thanks, Sugar Hill! There won't be the usual Friday night update, as your webmaster will be heading down to Biloxi, Miss., to see Dolly's third concert in the tour. I will attempt to do a brief update mid-morning on Friday if there are any newspaper or fan accounts of the Greenville show, but otherwise, look for coverage of her Biloxi tour stop on Sunday night! After initially being sold out earlier this week with no tickets remaining for sale, Green Bay's Resch Center on Wednesday released several seats on a row on the floor for her Oct. 27 stop on the "Hello I'm Dolly" Tour here. I would expect those to sell fairly quickly, bringing the venue back to sold-out status in the next day or two. The three or four rows of Greenville floor seats that surprisingly became available on Tuesday afternoon and were reported here Tuesday night were all sold via Ticketmaster by Wednesday afternoon. The only seats remaining as of press time for the tour opener in South Carolina Thursday night were a handful of single-seat tickets in the middle of the first level of raised seats and those mid-way and further in the back level of raised seats. The tour's second stop, in Atlanta on Friday night, only had tickets remaining on the last three rows of the upper balcony as of Wednesday night, so it might sell out before the show. Get tickets now! The Scripps Howard News Service on Wednesday picked up Terry Morrow's story on the tour from Sunday's Knoxville News-Sentinel, so you may see it appearing in other papers this week. Dolly fan pre-sale tickets remain available here (or on the yellow pre-sale buttons throughout the site) for her Nov. 21 show in State College (University Park), Penn., Dec. 8 concert in Phoenix, Ariz., or Dec. 10 stop in San Jose, Calif. Tickets went on pre-sale Wednesday afternoon and will go on sale to the general public on Saturday. Sugar Hill Records has several Just Because I'm A Woman: Songs Of Dolly Parton promotional t-shirts left in their inventory and they're ready to clear them out. If you'd like one sent to you at no charge, just e-mail Dollymania with the subject "t-shirt" providing your shirt size, name and mailing address, and you should get one in a few weeks while supplies last! Thanks, Holly and Sugar Hill! NOTE: THE T-SHIRTS ARE ALL GONE. PLEASE DO NOT REQUEST ONE. Two additional media outlets, NME and Gigwise on Wednesday carried news that another single of "Jolene" is heading to the airwaves. As was first reported here a week ago, Detroit duo The White Stripes were reportedly planning to release a live cover of Dolly's "Jolene" from Nov. 23's live DVD Under Blackpool Lights as their next single. The stories confirm that the single will come out on Nov. 15. My friend Paul has his Dolly fan site, Dolly Parton World, back up and running and asked that I let everyone know. Dolly fan pre-sale tickets for at least three cities in the "Hello I'm Dolly" Tour become available at 1 p.m. Eastern on Wednesday. Click here or on the yellow pre-sale buttons throughout the site at that time to get tickets for her Nov. 21 show in State College (University Park), Penn., Dec. 8 concert in Phoenix, Ariz., or Dec. 10 stop in San Jose, Calif. It is possible that another city or two will be added shortly before ticket sales begin, so check their site Wednesday afternoon to be sure. Tickets go on sale to the general public for all three dates on Saturday. Another date on the tour has sold out, Oct. 27's show in Green Bay, Wis. , Dollymania has learned. And the tour opener, Thursday night's performance in Greenville, S.C., became less close to selling out on Tuesday, as several rows of floor seats that had previously been unavailable went on sale to the public via Ticketmaster. They're sure to go quick! Dolly's backing band and opening act, The Grascals, will perform and be interviewed on Atlanta's Fox 5 WAGA's Good Day Atlanta program Friday morning, the station announced this week. The band, without Dolly, is slated to appear during the 8 a.m. hour. The "Hello I'm Dolly" Tour performs at the city's Fox Theatre that night. Music news service Country Now on Tuesday reported that Aussie Keith Urban is the latest to add vocals to Dolly's 2005 release Blue Smoke. Dolly previously told the Knoxville News-Sentinel that guest performers on the upcoming CD will include folk legends Judy Collins and Joni Mitchell. The Rapid City Journal in South Dakota this week profiles Dolly's Imagination Library literacy program there in the first of a series of stories on nonprofit projects and organizations funded by its local United Way chapter. Read it here. I've been trying to obtain information on this disc since first receiving an unconfirmed report on it several weeks ago, and I had been unable to locate a copy to check locally since its release last week, but a reader writes in that after a week of searching music stores all over Virginia and North Carolina, he finally found a copy of Christmas Grass Too and that it does include Dolly singing a new recording of "Christmas Time's A Comin'." Others featured on the bluegrass holiday album include Rhonda Vincent, The Larkins, Sonya Isaacs and more. Get your copy here! Thanks, Tony! The tour opener in Greenville, S.C., looks like it might sell out by Thursday, although there may be too many tickets left for it to do so. The floor is sold out and the first tier of raised seats is full except for a few single-seat tickets. At least two-thirds of the second (final) tier of raised seats have sold. Friday's show in Atlanta is likely to sell out. The floor and the first three of its four balcony levels are completely sold out, leaving only a small back tier of balcony seats available. Cleveland has the floor and at least three-fourths of its raised seats sold. Columbus finds its floor sold out and first raised level all gone except for a few single-seat tickets. The second and third raised levels are mostly sold out, but plenty of tickets remain available in the fourth (final) tier of raised seats. Detroit's large floor area is nearly sold out, and all seats are gone in its first balcony level. The second balcony is less than half sold out, and almost no seats have sold in the third and fourth balconies. Green Bay is almost completely sold out. Group seats of two or more no longer remain, leaving only a handful of single-seat tickets for sale. St. Paul is also nearly sold out. The floor and both the second and third tiers of raised seats are sold out, with only a few rows left open in the first raised tier. Sales are still slow in Omaha, with plenty of seats in both raised levels. St. Louis sees its floor and top level of raised seats sold out. The first raised level is nearly sold out, but the very small second raised level has plenty of seats. The floor and third raised level in Raleigh are sold out, with the first raised level seeing about half of its seats gone and the second raised level about two-thirds full. In Norfolk, the floor, bleachers on floor and risers on the floor are all sold out, with at least half of the two tiers of raised seats sold out. Winston-Salem sees the floor and first level of raised seats sold out, with the second and third tiers seeing maybe half of their seats gone. Although the floor is sold out in East Rutherford, N.J., plenty of seats remain in the two levels of raised seats. In Uncasville, Conn., the floor and first level of raised seats are sold out, and about a third of the back level of raised seats are gone. Plenty of seats remain in most of the later dates on the tour. State College, Penn. 's Centre Daily Times on Monday promoted Dolly's Nov. 21 stop at the Penn. State campus, noting that tickets go on sale to the public via Ticketmaster on Saturday, with wristbands being available from 8 a.m. until 5 p.m. Friday for those who plan to get tickets in person at the Bryce Jordan Ticket Center on Saturday. The new European CMA singles chart came out Monday (the chart a few weeks back switched from bi-weekly to weekly releases), and Dolly's two entries from last week are gone. "I'm Gone" from Halos & Horns falls out of the top 200 overall airplay, down from No. 163, and Malta, where "Hello God" was No. 11, didn't publish a chart this week. Arly Karlsen and Pat Roden's former No. 1 cover of the Porter & Dolly classic "Please Don't Stop Loving Me" drops three notches to No. 19 on the overall singles chart. She plays piano on stage for the first time, plus for one number she'll climb up on the piano with a martini glass and cigarette as a lounge torch singer. Kenny Rogers has pre-recorded dialogue and vocals for a segment on their duets. Covers included in the show (and many of which are to be performed on next year's Blue Smoke CD, which will also feature guests Judy Collins and Joni Mitchell) will include "Blowin' In The Wind," "Imagine" and "Me And Bobby McGee." Although the concert is largely a retrospective of her 40-year career, songs representing her Trio recordings with Linda Ronstadt and Emmylou Harris will be absent. San Jose's HP Pavilion announced over the weekend that tickets for her Dec. 10 stop there ($45, $55 and $85) will go on sale to the public via Ticketmaster on Saturday. Be sure to check at noon Eastern on Wednesday for the next group of Dolly fan pre-sale tickets here. The cities this week have yet to be announced, but I would suspect they're likely to include San Jose, State College, Penn., and Phoenix, as their regular ticket sales begin Saturday. Columbus, Ohio, station WMNI is giving away two tickets to Dolly's Oct. 20 show there as well as hotel accommodations and admission to Dollywood. The winner will be announced the morning before the concert. Click here for more information. Tickets went on sale Saturday for her Dec. 3 Dallas and Dec. 11 Reno concerts. Reno's small pit area sold out Saturday afternoon (due largely to members of the Reno Hilton's gambling card club being able to get tickets in advance -- Thanks, Melissa! ), and plenty of seats remained in the first level of booths as of Saturday, but as of Sunday evening, that first level had sold out except for a few single seats, leaving just the back level available. In Dallas, a couple of rows of floor seats remained available as of Saturday afternoon but all were gone except a couple of single seats on Sunday, leaving raised level seating available. The floor levels in both Atlanta and Cleveland sold out over the weekend, but plenty of raised level seats remained. Dolly's concert CD Live And Well falls out of the top 40 independent labels albums chart in the U.K. this week, down from its No. 34 debut, it was announced Sunday. Norah Jones' Feels Like Home, with Dolly singing the duet "Creepin' In," re-enters U.K. pop charts' top 75 for a 33rd week, coming in at No. 71. Down Under, the CD also falls out of the Australian top 20 country albums chart, down from its debut of No. 16 last week. The October/November issue of Paste magazine has a great review of Dolly's concert recording Live And Well, calling selections from the show "gorgeous" and "haunting." The reviewer also lauds the a capella medley as one that "would make any soul group proud" and her covers, noting the "ethereal quality" of her version of Neil Young's "After The Goldrush" and the "raise-the-rafters shout" of her bluegrass version of Led Zeppelin's "Stairway To Heaven." The only criticism lobbed at the release is that performing it on the Dollywood stage, a larger, sit-down venue instead of the fairly small, standing-only clubs on the tour, drains some of the "intimacy" from the show in the DVD version, but he adds that her "shtick and rhinestones shine bright regardless." Thanks, Bryan! Three new, exclusive Dollymania wallpapers have been posted on the wallpaper page here. Two come from photos taken at the recent Harvest Celebration opening, while the third consists of a festive scene from this summer's KidsFest kick-off that I just hadn't uploaded until now :) Enjoy! Filmmaker Jonathan Caouette, whose autobiographical documentary Tarnation is currently playing the arts circuit across the country (and includes a clip of Dolly singing on television a couple of decades ago), recently posted a list of his "25 Things That I Love" on Movie Net, and Dolly comes in at No. 7, with him saying, "Dolly is pure hope." Read his full list here. Tickets went on sale to the public at Ticketmaster on Friday for the tour's Nov. 7 stop in Winston-Salem, N.C., and Dec. 7 performance in Las Vegas. Tickets for the floor and first raised level in Winston-Salem quickly sold out, but seats remained in the second and third raised levels as of Friday evening. In Vegas, tickets in the first floor level sold out, and the second floor level appeared to be about half sold out Friday evening, while almost all seats remained available in both balconies. In related news, Caesars Palace on Friday issued a press release about Dolly's 10:30 p.m. show in Vegas, with casino president Mark Juliano commenting: "Dolly Parton is a superstar and a true American music legend. We are excited for the opportunity to host such an entertainer at Caesars Palace and proud that she has chosen to perform her only Las Vegas show inside The Colosseum." Read the full release here. Remember that tickets go on sale at Ticketmaster at 10 a.m. Saturday for her Dec. 3 Dallas show and Dec. 11 Reno concert. Dolly's Nov. 21 Penn State concert will go on Ticketmaster pre-sale at 10 a.m. Monday, the site announced Friday without giving details of what group will provide the pre-sale code. Tickets go on sale to the general public Oct. 16. I would expect the Dolly fan pre-sale will likely add this show on Wednesday. Check back later for more details. The Detroit Free Press is giving away two free tickets on Tuesday for Dolly's Oct. 26 stop in that city. Read here how to enter. Don't forget the tour will be profiled on CMT Insider this weekend, premiering on Saturday at 1 p.m. Eastern with repeats throughout next week (see TV listings on left-hand side of this page). The network also announced Friday that Dolly will be featured on next weekend's show as well, premiering Oct. 16, to discuss her duet on "Baby It's Cold Outside" from Rod Stewart's Oct. 19 release Stardust: The Great American Songbook: Volume III. Dolly snagged her third International Bluegrass Music Association (IBMA) Award Thursday night, it was announced. The tribute project Livin', Lovin', Losin': Songs Of The Louvin Brothers took home the prize for Recorded Event Of The Year. Unlike most awards shows, where various artist album awards only go to the producer, the IBMAs honor all major participants, so Dolly shared the honor with Joe Nichols, Rhonda Vincent, Emmylou Harris, Rodney Crowell, James Taylor, Alison Krauss, Vince Gill, Terri Clark, Merle Haggard, Carl Jackson, Ronnie Dunn, Rebecca Lynn Howard, Glen Campbell, Leslie Satcher, Kathy Louvin, Pamela Brown Hayes, Linda Ronstadt, Patty Loveless, Jon Randall, Harley Allen, Dierks Bentley, Larry Cordle, Jerry Salley, Sonya Isaacs, Marty Stuart, Del McCoury, Pam Tillis, Johnny Cash, the Jordanaires, label Universal South Records and producer Carl Jackson. 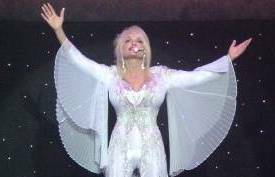 Dolly and Isaacs performed the classic "The Angels Rejoiced" on the project. Dolly previously won IMBAs for 2000's Album Of The Year with her solo The Grass Is Blue and 2002's Recorded Event Of The Year as a participant in Ralph Stanley's duets album, Cinch Mountain Sweethearts. She was nominated three times in 2001, but didn't win any of them, for Best Female Vocalist and Album Of The Year and Recorded Event Of The Year as a participant in Big Mon: The Songs Of Bill Monroe. Read CMT.com's coverage of the awards ceremony here. Although they had broken word of the news in the park's season passholder newsletter a few weeks ago, Dollywood officially announced on Friday that the 120-year-old Moscow Circus will headline next year's fifth annual Festival Of Nations celebration for the park's 20th season opening. In a press release, Dolly said: "With contortionists and gymnasts, clowns and dog trainers, even folk music, the Moscow Circus truly has something for ever member of the family. I'm proud to welcome a show with such a rich history to our Festival of Nations." With 25 cast members from Russia and the Ukraine, the Moscow Circus presents centuries-old Russian fables using aerialists, singers, gymnasts, folk musicians contortionists and clowns in daily shows at the park's Celebrity Theatre. The six-week Festival Of Nations brings hundreds of performers from around the world to Dolly's East Tennessee theme park for six weeks, March 26-May 8, as the park opens to the public one week early next year (even though the official "opening weekend" celebrations are still scheduled for April 2). Image of the Moscow Circus by Valery Lemberg. Used with permission. And speaking of the classic Elvis song "Viva Las Vegas," of course it is the first single from new bluegrass sextet and Dolly opening act/backing band The Grascals featuring Dolly herself on vocals. As was reported here several days ago, this week's CMT Insider premiering at 1 p.m. Saturday will feature a preview of the tour with Dolly and the band during rehearsals in Nashville. Well, The Grascals reported on their official Web site on Thursday that the episode will also feature them performing the song with Dolly. Catch repeats throughout the week (TV listings are now located on the left-hand side of this page). Dolly's concert CD Live And Well loses nine more places in its third chart week to come in at No. 46 country in the Oct. 16 Billboard charts released Thursday. The two-CD set also falls three spots to No. 30 on the independent labels albums chart. Norah Jones' Feels Like Home, featuring Dolly on "Creepin' In," falls 18 points to No. 56 pop and comprehensive in its 34th chart week, also dropping eight to No. 22 for Internet sales. Mindy Smith's One Moment More, with Dolly on "Jolene," moves down one notch to No. 24 in its 36th week on the independent labels albums chart. Kenny Rogers' 42 Ultimate Hits, including "Islands In The Stream," inches down one to No. 56 country in its 18th chart week. Rascall Flatts' Feels Like Today debuts at No. 1 pop and country with 201,000 units moved in its first week while Tim McGraw's Live Like You Were Dying remains steady at No. 2 country in its sixth chart week and falls five to No. 10 pop with 77,000 copies sold. Live And Well inches down five spots to No. 29 country on the Canadian albums chart, it was announced Thursday, and Jones' Feels Like Home falls four places to No. 30 in its 35th week on the pop albums chart up north. CNN's 24-hour financial cable network, CNNfn, has announced that Dolly will be featured on its Monday episode of The Biz, a daily half-hour program dedicated to the business side of media and entertainment, so I would suspect the show will look at the upcoming tour. It premieres at 12:30 p.m. Eastern with repeats at 4:30 p.m. and 9:30 p.m.
Dolly's Dec. 3 concert at the American Airlines Center in Dallas in the "Hello I'm Dolly" tour and her Nov. 7 show at the Joel Coliseum Theatre in Winston-Salem, N.C., went on Dolly fan pre-sale Wednesday afternoon here. The North Carolina show goes on sale to the general public at 10 a.m. Friday and Dallas at 10 a.m. Saturday. The pre-sale for the Dallas concert wasn't announced until a few minutes before tickets became available. Ticketmaster on Wednesday added Dolly's Dec. 11 performance at the Hilton Theatre in Reno, Nev., announcing that tickets will go on sale to the public at 10 a.m. Saturday. Sacramento's Arco Arena on Wednesday announced that tickets for her Dec. 12 concert at that venue will go on sale to the public on Oct. 23. Thanks, Oscar! Dolly has donated another autographed, limited edition dulcimer for charity. This time, the worthwhile organization to benefit from its sale will be the Kennedy Center for Research on Human Development at Vanderbilt University. The instrument will be auctioned off on eBay Oct. 16-23 via the Celebrity Rags 4 Charity Riches auction service. Thanks, Cynda! The White Stripes, whose male-vocal cover of Dolly's "Jolene" is considered by many to be the highlight of the Detroit duo's concerts, will release a concert DVD next month containing the song, it has been announced. BMG will put out Under Blackpool Lights on Nov. 23. The live performance includes "Jolene." Reserve your copy here! Unconfirmed reports say the live cut of "Jolene," a song the band previously made available only as a single B-side a couple of years back, will be released as a single itself a week or two before the DVD comes out. Thanks, Steve! Dolly's Oct. 17 concert at Caesars' Grand Casino Biloxi on the Mississippi Gulf Coast sold out on Tuesday, following Sunday's selling out of her Oct. 16 concert at the same venue. The only other dates sold out on the "Hello I'm Dolly" tour at this time are her three nights at Casino Rama near Toronto. Remember if you're near Winston-Salem, N.C.,. and want to attend her Nov. 7 show at the Lawrence Joel Veterans Memorial Coliseum there, tickets go on the Dolly fan pre-sale here at noon Eastern on Wednesday. Tickets go on sale to the general public via Ticketmaster at 10 a.m. Friday. As of press time Tuesday night, that was the only date scheduled for Dolly fan pre-sales this week, but check the pre-sale site on Wednesday in case additional cities are added. 1. Increase capacity -- the area currently allows rides for 2,300 guests per hour, but the changes will increase that to 4,300. 2. Provide rides parents and/or grandparents can ride with children. Six of the new rides will allow adults to enjoy them with the kids. 3. Make the area "more Mom-friendly" with the addition of the park's second baby care center for nursing and changing as well as a set of family restrooms and wider pathways for easier stroller navigation. 4. Update the area with better theming and ride presentation as well as more exciting rides. In related news, it appears the floor for her Oct. 26 concert at the Fox Theater in Detroit is almost sold out, so if you don't want to sit in the nosebleed section, you'd better get tickets now! Dollywood on Monday announced a 3.5-acre expansion will add 10 new rides to the Country Fair area next year. Construction will begin in November and should be finished prior to the park's late March opening for its 2005 season. The rides will focus on family entertainment, as most will allow parents and children to ride together. A new flight simulator will be included, and some existing rides are to be removed to make way for the new ones. No word yet on which rides will get the ax, but rumors have circulated for weeks about the log flume ride and others in the area being retired, and park officials had said at the time that no decisions were to be made until bids for expanding that section were opened about a week ago. Read the original story in Monday's The Mountain Press here or an abbreviated Associated Press version from Nashville's WKRN here. As was first reported here last week in coverage of the Harvest Celebration at Dollywood (see story here), country music journalist Hazel Smith on Monday devoted most of her CMT.com column to Dolly. In the highly praiseful article, Miss Hazel proclaims Dolly "the smartest person to ever call Tennessee home," noting that's placing her above presidents, senators, vice-presidents and other entertainers. Among the nuggets she provides are some notes on the "Hello I'm Dolly" tour (that she'll perform "Baby It's Cold Outside" -- coming out next week as a duet with Rod Stewart on hisStardust: The Great American Songbook: Volume III -- during the show as well as "an Elvis number," which presumably would be the cover of "Viva Las Vegas" she has recorded with her opening act/backing band, The Grascals, which features Miss Hazel's son, Terry ), that she wants to do children's albums and that she'd like her own lines of frozen foods, cosmetics and clothes. Its best quote: "I love God. He directs me. He knows my intentions are good -- no matter what my mouth says." Read the full column here! The October issue of Christian country music magazine Power Source is out, and there's a brief and photo of Dolly and Dottie Rambo noting that their duet "Stand By The River" took home two Christian Fan Awards, Duo of the Year and Song of the Year. The magazine's independent labels country singles chart sees Dolly's duet with Norah Jones, "Creepin' In" from Jones' Feels Like Home, moving up one notch from September to No. 6. Wal-Mart.com has given a great review of Dolly's Live And Well concert CD, noting, "This diminutive woman with the big voice and even bigger sense of humor excels as a live performer," and that the set "showcases her down-home banter, which is a fresh blend of self-deprecation and humorous observations." Read it here. Thanks, Paula! Dolly's first of two shows at a casino on the Mississippi Gulf Coast has become one of the first to sell out on the "Hello I'm Dolly" tour. The Oct. 16 concert at the Grand Casino Biloxi officially sold out over the weekend, and only a handful of tickets remained in the second balcony for her Oct. 17 concert at the Grand. Previously, the only sold-out shows on the tour had been three nights at Casino Rama near Tornoto, Canada. The Casino Rama theater houses about 4,000 seats (for a total of 12,000 over three nights), while Biloxi houses about 1,800 (or 3,600 for two nights). Most dates on the tour will hold around 5,000 concert-goers. The Belfast Telegraph reported Sunday that it is likely Dolly will visit the city for a concert next year. Quoting "a music insider," the newspaper said Dolly is "definitely" considering extending the tour to include Europe in 2005, with the Northern Ireland city close to the top of the concert list, as she promised fans in 2002 that she would return. Her concert there that year, which sold out 20 minutes after tickets went on sale, was her first ever in the city. Read the full story here. After several days of pre-sales, many additional cities in the tour went on sale to the general public on Saturday morning, with brisk sales at most venues. The floor areas completely sold out in Boise and Spokane. In Norfolk, the main floor and bleacher seats on the floor sold out except for a couple of single-seat tickets, and the riser seats on the sides of the floor are nearly sold out (with plenty of seats remaining in the two raised levels of non-floor seating). In Philadelphia and Albany, the floor sold out except for a handful of single-seat tickets and the first raised level at each appears to be nearly sold out. Sales didn't move as quickly in Wilkes-Barre and Reading, both of which had floor seats remaining as of press time Sunday evening. Dolly's concert CD Live And Well doesn't make the top 50 pop albums chart Down Under this week but does debut at No. 16 on the Australian country albums chart, it was announced Sunday. Thanks, Sean! The collection also doesn't make the top 75 pop albums chart in Great Britain but does debut at No. 34 on the U.K. independent labels albums chart this week, it was also announced Sunday. And after 32 weeks on the U.K. pop charts, Norah Jones' Feels Like Home, with Dolly singing the duet "Creepin' In," falls out of the top 75, down from No. 53. The disc had peaked at No. 1 for two weeks across the pond. Thanks to reader Aaron for sending in some more shots of Dolly from her Harvest Celebration appearance at Dollywood! His gallery has been added to that section here as well as a transcript from her media appearance that Friday. I'm told that Dolly's duet with Aaron Crisler on "High And Mighty," which appeared on his album In Good Hands last year, is about to get a big push. While the song had been included on a gospel singles compilation disc sent out to gospel stations, it had been available for purchase only at Crisler's personal appearances and his Web site here. I'm told that the CD is now slated to be issued later this month to retailers nationwide, and a promo single of the duet to be shipped out (and sold to the public for $5 each), with mainstream country stations being asked to play it on Sundays. Look for more information as it becomes available. Thanks, Jeff! The Tennessean had a great interview with state tourism director Susan Whitaker, former director of marketing at Dollywood, who talks, among other things, about working with Dolly at the park and the impact her commercials touting the state as a tourism destination have had since they started airing this summer. Read it here. My friend Jamie sent in some more great shots from Dolly's appearances last weekend which have been posted in those galleries here. And hopefully I'll get the transcription of her Friday appearance done over the weekend so that you may read her full remarks in Sunday evening's update. Thanks, Jamie! Ticketmaster on Friday added her Nov. 21 concert at the Bryce Jordan Center in University Park, Penn. (that's what the campus of Penn State in State College, Penn., is called), tickets for which will go on sale at 9 a.m. Oct. 16. They range $35-$55. Dolly's possible Nov. 15 concert in Baltimore, Md., could soon be back on. The Grascals, her opening act and backing band for the tour, have posted the date with the venue "to be announced" back on their official Web site. The concert was originally planned for The Mariner, but it was removed from the concert schedule when the tour was officially announced in early September. The Rose Garden in Portland, Ore., has announced that tickets for Dolly's Dec. 17 concert there will go on sale to the public through Ticketmaster at 9 a.m. Nov. 6. I'd expect there to be a Dolly fan pre-sale sometime before that, so check back here for details in the future. Tickets went on sale Friday for her Nov. 13 performance at Connecticut's Mohegan Sun casino, and it appears to be one of the faster-selling stops on the tour. The floor quickly sold out, and the first of two levels of raised seats are almost completely sold out, with a good number of seats in the back level appearing to be gone as well in the first day of sales. Tickets also went on pre-sale Friday for members of the Phoenix area Downtown Live group for her Dec. 8 stop in that city. The pre-sale ends Oct. 8, and tickets go on sale to the public Oct. 16. Click here for information on joining Downtown Live. If you haven't gotten your tickets yet for Nov. 6 in Norfolk, Nov. 17 in Albany, Nov. 18 in Philadelphia, Nov. 19 in Wilkes-Barre and Nov. 20 in Reading, they all go on sale to the public at Ticketmaster at 10 a.m. Saturday. These shows have been on pre-sale for Dolly fans here since Wednesday -- look for additional pre-sales on Wednesday of next week. Her Dec. 16 and 18 shows in Boise and Spokane have also been on pre-sale since Wednesday. Tickets for the Boise show go on sale to the public at 10 a.m.Western time Saturday as well but through Ictickets here, while the Spokane show goes on sale to the public at 9 a.m. Pacific time from TicketsWest here. * Oct. 14: Greenville -- The lower level raised seats for the tour opener are sold out except for a couple of single seats (all floor seats have been sold out for quite some time), and at least half of the back level of raised seats appear to also be gone. * Oct. 15: Atlanta -- On its second stop, it appears the large floor area is very close to selling out, while the first two of the four balcony sections are sold out. Plenty of seats remain in the back two balcony sections. * Oct. 16 and Oct. 17: Biloxi, Miss. -- Almost sold out. It appears that while there are one or two single seats remaining toward the back of the main floor for Saturday (none for Sunday), the only seats available in groups of two or three are on the very last row in the upper balcony for Saturday's concert and last two rows for Sunday's performance. * Oct. 19: Cleveland -- Ticket sales appear to be going slow here, with some floor seats remaining and plenty in the raised levels. * Oct. 20: Columbus -- Floor is sold out and only single-seat tickets remain on first raised level. Plenty of seats in second through fourth raised levels . * Oct. 26: Detroit -- In what is perhaps the largest floor seating area on the tour, there are only five or six rows available toward the back on the floor but plenty in the back two balcony seats (the first two balconies are almost sold out). * Later shows all have plenty of seats left at this time, mostly in the middle and back of each arena. Country music journalist Hazel Smith (whose son, Terry, is a member of Dolly's backing band, The Grascals) on Friday featured a recap of her Dolly interview from this past weekend at Dollywood in her "Country Music Insider" program on Indianapolis' WFMS. Although she didn't cover any new ground, she did list off the myriad projects which "The Great Dolly Parton," as she called her, said she hopes to do in coming years: her new tour (which she said will be more like a Broadway show than a regular concert), writing children's books, starring in a children's television show, releasing children's albums, coming up with her own line of food called Dolly's Dixie Fixin's, re-launching her cosmetics line, creating a clothing line (including lingerie under the label Dolly's Nighties), completing the music for a Broadway musical and possibly starring in her own Broadway musical revue. Of course, most of these projects have been on Dolly's mind and in various stages of development for some years now, so hopefully we'll see some movement on them in the near future. If you want to hear Hazel's complete report, visit the radio station's Web site here (click on Oct. 1). And remember Hazel told me that she plans to devote a good deal of her CMT.com column (here) on Monday to Dolly. The day after posting a review of the CD version of Live And Well, The Nashville City Paper on Friday offered its opinion on the DVD companion concert, saying Dolly delivers "triumphant versions" of her songs and that the show is "expertly, if conservatively, shot, and the music is nicely sequenced and produced." Read the full review here. Amazon.com on Friday began taking orders for the Nov. 23 DVD release Norah Jones and The Handsome Band: Live in 2004, filmed in August at Nashville's Ryman Auditorium and featuring a live recording of Dolly and Jones performing their duet "Creepin' In" from Jones' Feels Like Home. Reserve your copy of the collection here! Dolly makes a couple of appearances on the new European CMA singles charts. "Hello God" from Halos & Horns shows up at No. 11 on the country singles airplay chart from Malta, where listeners prefer older songs (No. 10 is George Jones' "He Stopped Loving Her Today"), and "I'm Gone" from the same CD comes in at No. 163 for overall continent-wide airplay. Arly Karlsen and Pat Roden's cover of the Porter & Dolly No. 1 "Please Don't Stop Loving Me," which spent three months at No. 1 earlier this year, falls 12 spots to No. 16 on the overall singles chart. Mindy Smith, of Just Because I'm A Woman: Songs Of Dolly Parton and One Moment More, continues to talk up Dolly and their relationship. "She has been a true blessing in my life," the newcomer tells the Ashville, N.C., Citizen-Times. "She's gotten people to look at me in a way they hadn't before. She's got that kind of effect on people." Read the full story here. Dolly's concert CD Live And Well loses 15 places in its second chart week to come in at No. 37 country in the Oct. 9 Billboard charts released Thursday. The double-disc set also falls 15 spots to No. 27 on the independent labels albums chart and falls out of both the pop and comprehensive albums charts, down from No. 161 and No. 176, respectively. The DVD version falls out of the top 40 music videos, down from No. 36. Norah Jones' Feels Like Home, with Dolly dueting on "Creepin' In," jumps up 21 points to No. 38 pop and comprehensive because of first-week sales of its new deluxe edition (available here), containing three bonus tracks and DVD performances. It earns the week's Greatest Gainer honor. The album gains three to No. 14 for Internet sales in its 33rd chart week. Mindy Smith's One Moment More, with Dolly on "Jolene," moves down one notch to No. 23 in its 35th week on the independent labels albums chart. Kenny Rogers' 42 Ultimate Hits, which includes "Islands In The Stream," remains steady at No. 55 country in its 17th chart week. With 148,000 copies sold, Keith Urban's Be Here debuts at No. 1 on the country charts and No. 3 pop, while Tim McGraw's Live Like You Were Dying inches down one to No. 2 country in its fifth chart week and is down two to No. 5 pop with 102,000 copies sold. Live And Well slips just one place to No. 24 country on the Canadian albums chart, it was announced Thursday, and Jones' Feels Like Home moves up one spot to No. 26 in its 34th week on the pop albums chart up north. Yes, even more photos from Dollywood have been posted in the Harvest Celebration galleries here, including some submitted from Dolly's parade and two of her concerts by reader Solomon and some non-Dolly shots by your webmaster. Thanks, Solomon! 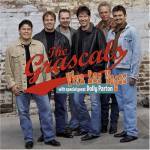 According to Amazon.com on Thursday, The Grascals' debut single, a cover of Elvis' "Viva Las Vegas" with Dolly, has been delayed until Nov. 9, when it is slated to be released on CD in advance of the band's full album in on Feb. 8. Reserve your copy here! Don't forget that tickets go on sale at 10 a.m. Friday on Ticketmaster for Dolly's Nov. 13 concert at the Mohegan Sun Arena casino in Uncasville, Conn., and tickets for several other shows are available on the Dolly fan pre-sale here. Want free tickets to Dolly's Oct. 20 show in Columbus, Ohio? Well, NewsCenter ABC-6 and FOX-28 are giving away front row seats! Entrants must be Ohio residents age 18 and older. Click here for full details or to enter. The Nashville City Paper on Thursday gave a rave review for Dolly's Live And Well CD and DVD, saying she "sounds inspired and jubilant" and that "the caliber and quality of the performances showed she was clearly in prime voice and spirit." Read the full review here. DirecTV is airing excerpts from the DVD throughout October, it has been announced. Free for TOTAL CHOICE customers, the "freeview" preview will air on Channel 103 Oct. 1-10 and Channel 125 Oct. 15-31. Click here for more information. Thanks, Robyn and Keith!